On February 4th we had a great opportunity to get off campus with a group of twenty students from Mexico to celebrate Mexico’s Constitution Day. In Mexico, Constitution Day is a national holiday when people get together with family to enjoy a meal and conversation. Mexico Lindo in Halifax prepared a delicious assortment of authentic Mexican dishes. We enjoyed hominy soup, brazed pork, sautéed chicken and vegetables, guacamole, rice, beans and soft corn tortillas with cheese. 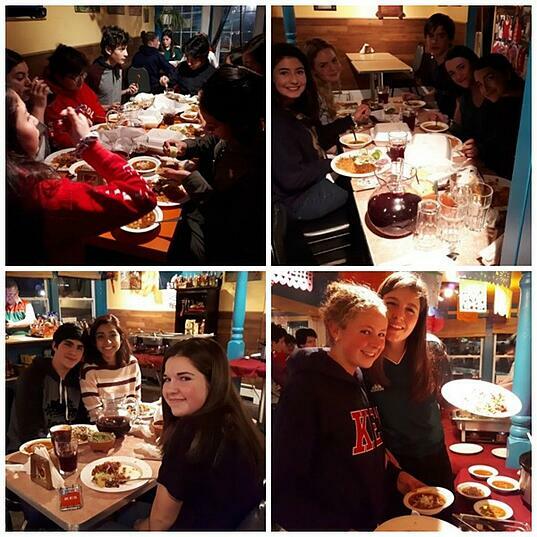 Students said the food tasted just like home! Bright spaces and comfortable places: that's what you'll find at King's-Edgehill School. If you're having trouble picturing it, download the photojournal, A Day in the Life of a King's-Edgehill School Boarding Student. It's filled with images and information.